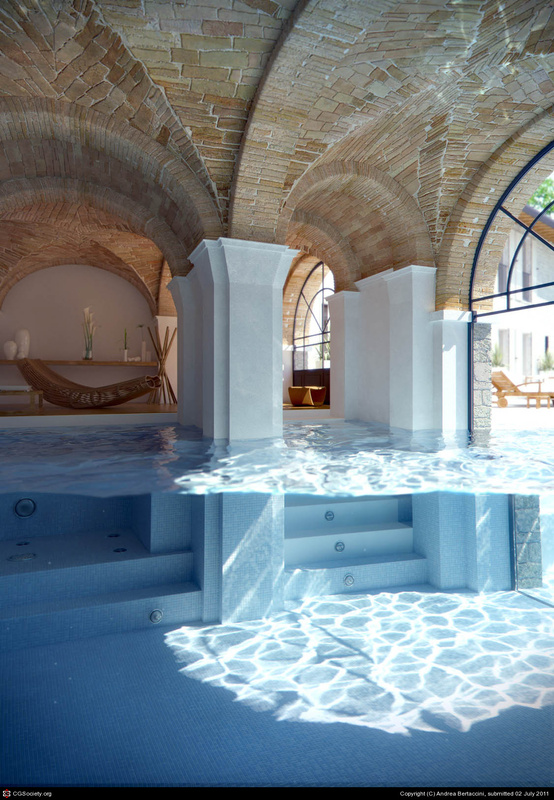 I like that the artist rendered this in such a way that we are looking through at the inside of the pool as well as the surface of the water, much like an underwater photograph. The architectural details are also great. The stone arches, the transom windows, the furnishings – all look so realistic and that is the point of 3d right? So great job Andrea!